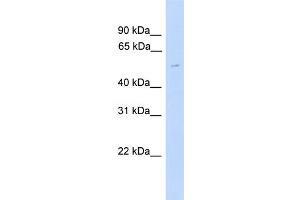 Characteristics This is a rabbit polyclonal antibody against TUBG2. It was validated on Western Blot. Background Tubulin is the major constituent of microtubules. Gamma tubulin is found at microtubule organizing centers (MTOC) such as the spindle poles or the centrosome, suggesting that it is involved in the minus-end nucleation of microtubule assembly.